By January 2015, Greece owed €317 bn (£240bn) to IMF, ECB, EU and others. With the new government under Alexis Tsipras, Greece had raised its hopes for survival and economic development. However, the debt crisis in Greece seems to only deepen and has taken a different turn with some new developments in the Greece’s strategy – mostly captured in the statements of Greek Defense minister, Panos Kammenos. Possibility of Grexit: Greek Defense Minister Panos Kammenos warned EU that there could be a possibility of Greece exiting the common currency zone as Berlin and Brussels were trying to lead Greece to an economic catastrophe. Syriza and the other opposition party had condemned his statements and termed it as ‘harsh and unjustified’. He warned that if EU representatives continued with this suppression on Syriza government then, it will grant its illegal immigrants the permission to travel to other EU member states so that they can head “straight to Berlin” “If Greece is expelled or forced out of the eurozone, waves of immigrants without papers, including radical elements, will stream from Turkey and head towards the heart of the West,” Kammenos told The Times. He further added that if Greece decides to exit, then other countries like Italy and Spain could follow next. 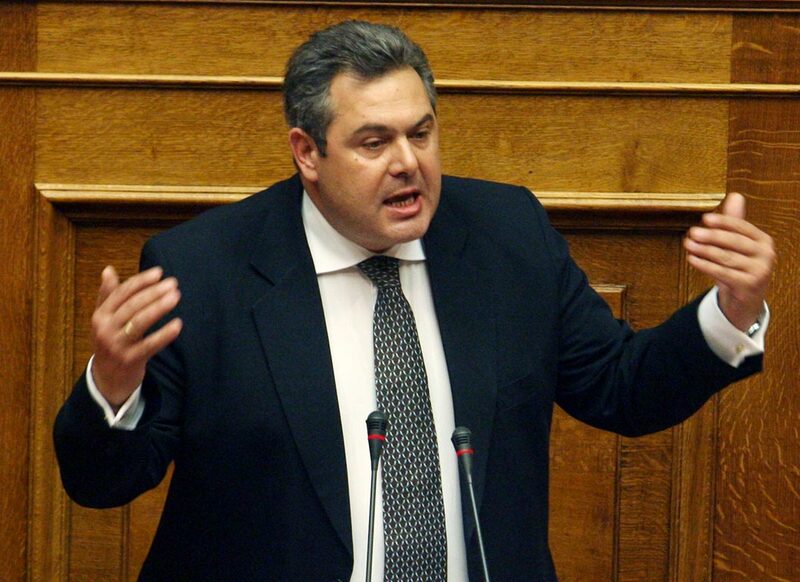 defense minister of Greece. The defense minister of Greece, Panos Kammenos said Greece had obtained records held by the U.S. military that review the extent of damage to private and public property during the Nazi occupation. While Germany shrugs off this statement, the Greek prime minister, Alexis Tsipras says the timing is purely coincidental and has nothing to do with the economic stress that Greece is facing. In 1960, Germany had already settled the repatriation agreement by paying 115 million marks. No protest had been done by Greece at that time and it was, hence, considered settled. Greek prime minister has suggested confiscation of German assets, if Germany refuses to pay. These actions by Greece have definitely raised tensions amongst EU member countries. Even though the zone has supported Greece time and again, it remains a puzzle how it could keep on supporting Greece through more bailout and further bailout extensions. With payment deadline approaching, Greece now seems to be approaching other nations. Visit to Russia: With Greece Prime Minister visiting Russia just before the IMF payment deadline, matters could be of some worry for the Eurozone. However, Greece has not formally or directly approached for any financial help from Russia. But a loan from Russia or China could help the struggling economy of Greece, which at present is looking for some breathing space. According to Observatory of Economic Complexity, Russia accounts fo r 11% of Greece’s total imports and Germany and China are close to 9.5% and 5%, respectively. The financial help does not necessarily have to be in the form of loans but could also come in the form of increased trade and tourism between Russia and Greece. 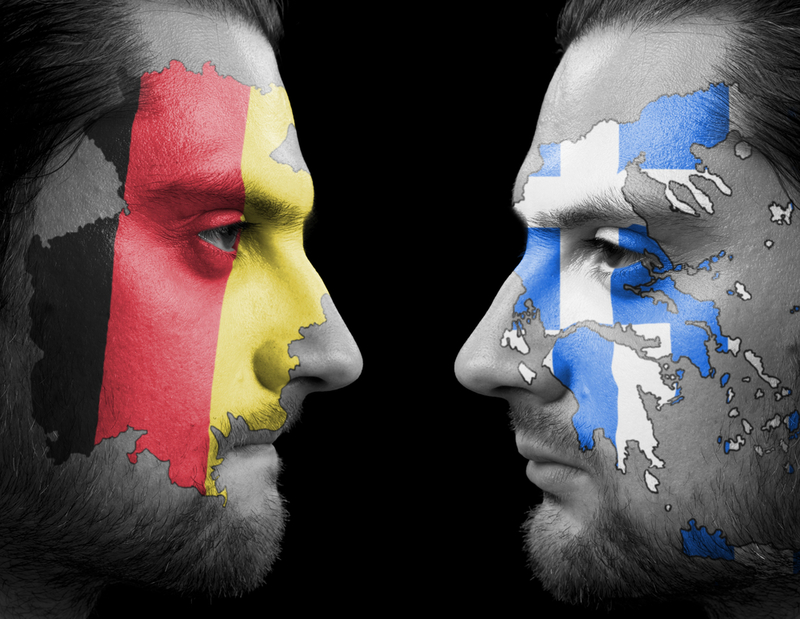 Currently, Russia and Greece might be different nations in the same boat. While Russia is burdened by sharp slump in oil prices and western sanctions, Greece carries years of heavy debt and several economic issues like high prices and unemployment. How they benefit one another in this time of crisis remains a bit difficult to fathom at this point. An inclination towards BRICS: Minister of Defense, Panos Kammenos, in an interview to Greek Radio on March 13, warned that if the European Union, the European Central Bank, and the International Monetary Fund (known as the Troika) cut off Greece, the country will turn to the BRICS for funding. BRICS currently holds 21% of the world’s GDP with 40% of world’s population in Brazil, Russia, India, China and Russia. In 2014, Russia faced falling oil prices with heavy sanctions from the west. But the fate of Russia did not stop it from becoming the first country amongst t he BRICS members to sign on establishing the group’s New Development Bank. With this development, BRICS aims to lend out to both member countries and non-member countries too. Russian Foreign Ministry Ambassador-at-Large Vadim Lukov said on Friday “Specifically, China will be able to take out only 50% while Russia, India and Brazil will be entitled to 100% and South Africa to 150%.” This could be looked at as an opportunity for EU member countries that are not too happy with the austerity measures imposed by the stronger EU members i.e. Greece, Portugal, Spain and Italy may find BRICS funding as an alternative to the troika.